Aldridge Musical Comedy Society, or AMCS for short, is a Drama and Theatre group that prides itself on musical prowess and acting talent. Formed in 1967 in a corroboration with Brownhills, we have performed over 70 shows in a wide variety of theatres in the West Midlands area. 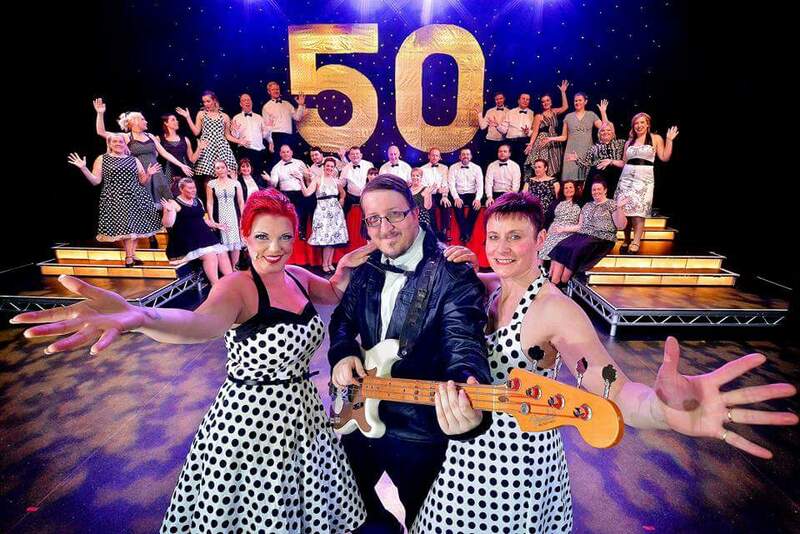 Recently we celebrated 50 years since our inception with ‘Fabulous at 50’ in May 2017 at the Prince of Wales Theatre in Cannock. A marvelous production showcasing over 20 numbers chosen from past performances. 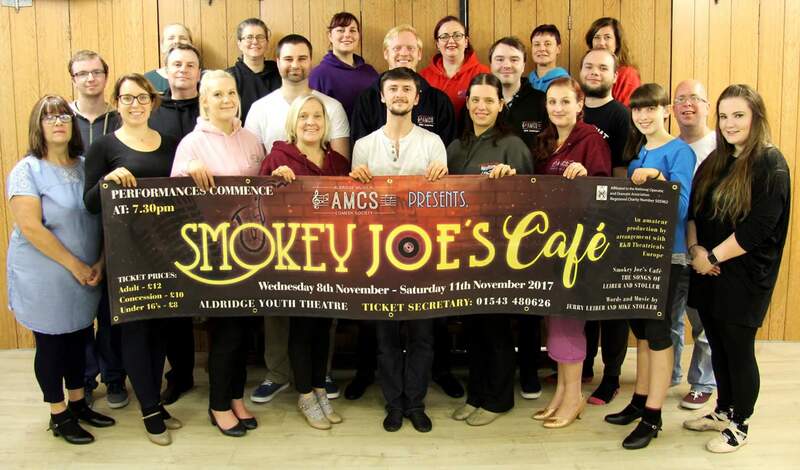 Most recently we performed the musical revue ‘Smokey Joe’s Cafe’ in November 2017 at Aldridge Youth Theatre producing a display in equal to magnificence to the genius of Leiber and Stoller’s repertoire. For the first time in our history in 2018, AMCS will be performing one of the most famous and loved musicals of all time… West Side Story! AMCS is always accepting new members into our family, and there are many ways you can go about this. We rehearse at Keeling School of Dance every Wednesday at 7:30pm until 10:00pm. Why not pop along and have a chat with us? Alternatively, you can Like our Facebook page and message one of our admins for more information. Contact any of our Committee members and they will be sure to point you in the right direction. All information shown on the Aldridge Musical Comedy Society website is subject to change including showtimes and prices.